It is a scientific fact that heat moves in waves. With their recording of 'HeatWave' quickly becoming an even bigger hit than their last best-seller, 'Come And Get These Memories', Martha And The Vandellas are now riding a rising wave of 'hot' records. The evident talent of these three Detroit-born young ladies—lead singer, Martha Reeves, soprano, Rosalyn Ashford, and alto Annette Beard - indicates that they will be generating 'heat' in recording-circles for some time to come. 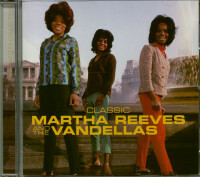 To showcase the many sides of their unique ability, The Vandellas present in this album their renditions of some of the nation's recent top-selling singles. 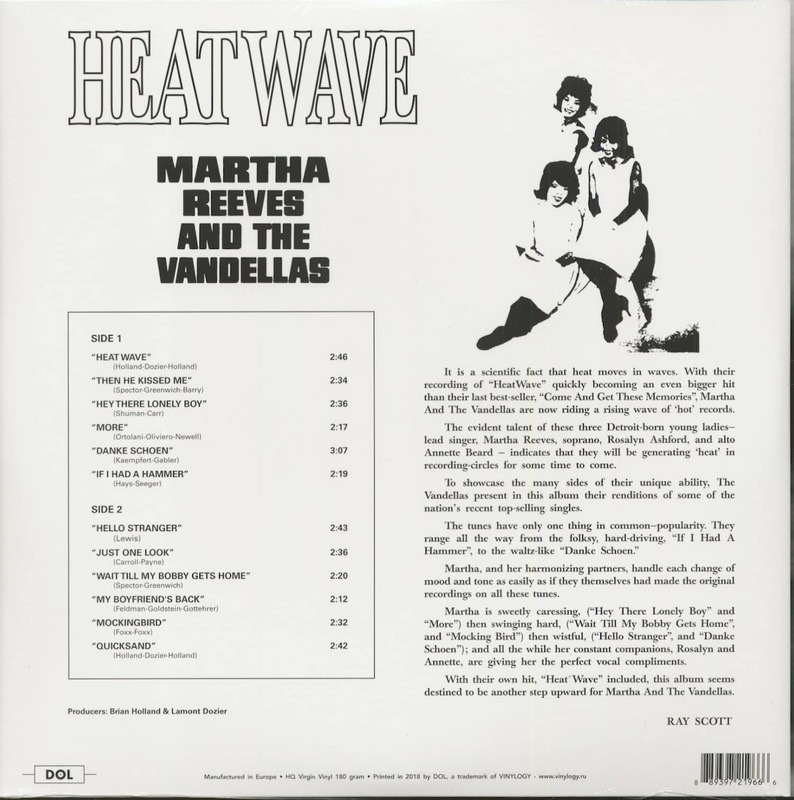 Martha, and her harmonizing partners, handle each change of mood and tone as easily as if they themselves had made the original recordings on all these tunes. 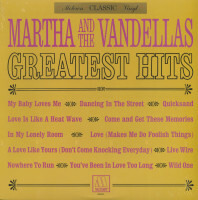 Martha is sweetly caressing, ('Hey There Lonely Boy' and 'More') then swinging hard, ('Wait Mil My Bobby Gets Home', and 'Mocking Bird') then wistful, ('Hello Stranger', and 'Danke Schoen'); and all the while her constant companions, Rosalyn and Annette, are giving her the perfect vocal compliments. 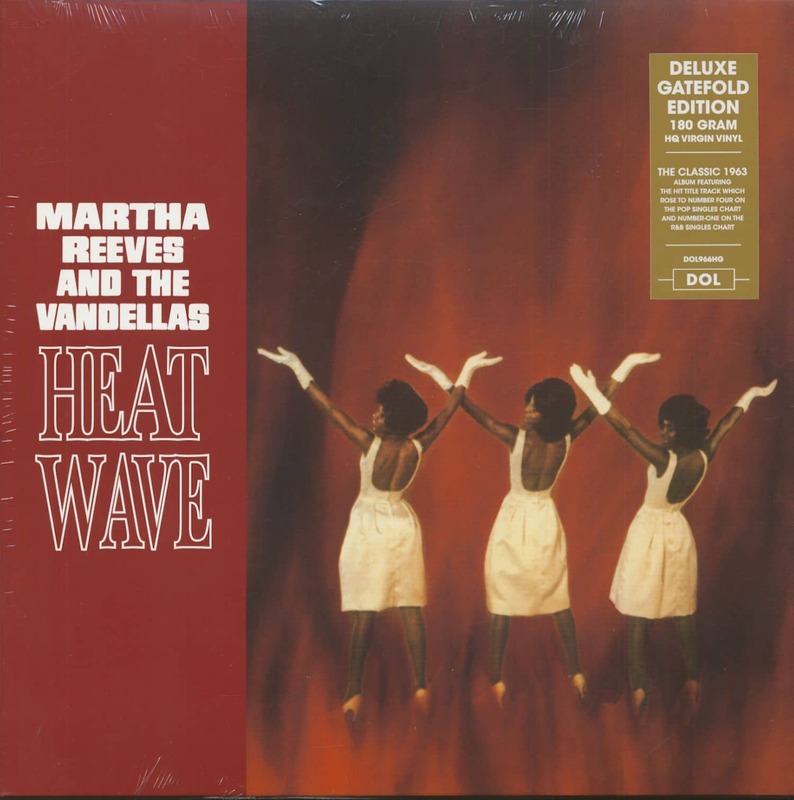 With their own hit, 'Heat' Wave' included, this album seems destined to be another step upward for Martha And The Vandellas. 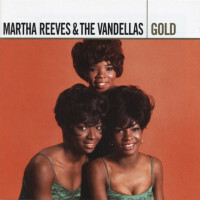 Just prior to The Supremes' meteoric rise, Martha & The Vandellas were Motown's top girl group. 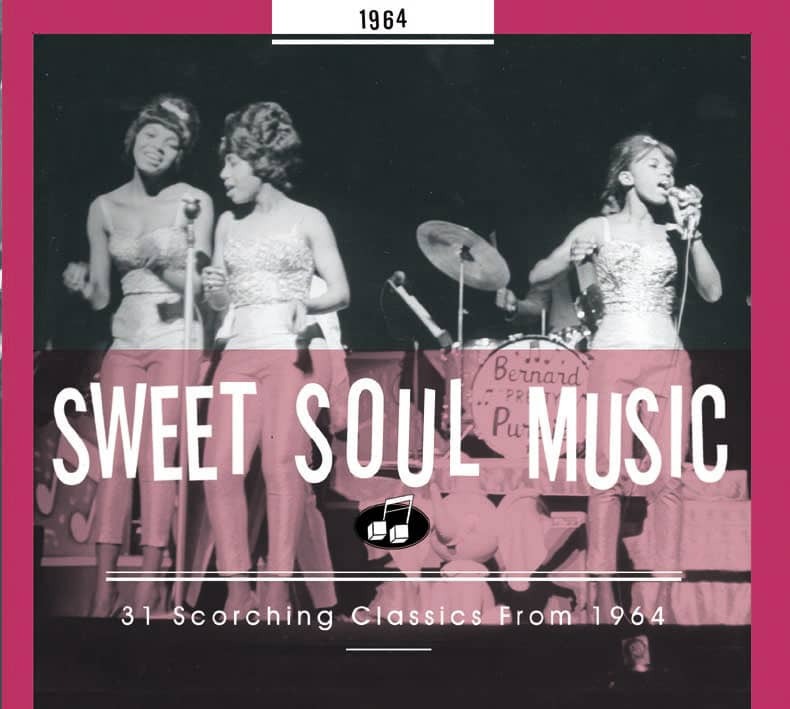 The trio (Martha Reeves, Rosalind Ashford, and Annette Beard) hit big in 1963 under Holland-Dozier-Holland's creative supervision with Come And Get These Memories, Heat Wave, and Quicksand, but their glorious Dancing In The Street was mainly the work of staffer Ivy Jo Hunter, who shared writer's credit with producer Mickey Stevenson (the pair had a 50/50 agreement on all their compositions). "Marvin Gaye gave us the title," says Ivy Jo. "I had already cut the rhythm track. We were over on Cortland, upstairs in the rehearsal area. Marvin happened to be there, and I brought the tape up to play for Mickey, 'cause he had never heard it. Then I was trying to write, and I was going with another melancholy theme. And Marvin said, 'Ivy, that's not a sad song. That song sounds like dancing in the street!'" The song's backbeat was explosive. "That's a tambourine with a stick, and deep echo. That was Mickey. He added that. He had the production experience, but he didn't know anything about that rhythm that I wrote. Because I could only play one side of the piano at a time. And so I had this bass line," says Hunter. "Paul Riser, the arranger, who saved a lot of my productions for me, he could decipher what I was trying to do, so he wrote it up. And he wrote out that bass part for Jamerson. That was they very first bass part that was ever written for James Jamerson. And at the end of the session, he made the comment, he said, 'I have never had so much fun in my life playing one note!'" At first, Reeves had reservations. "When I first heard 'Dancing In The Street,' I started to get annoyed, because I didn't know the intent of it," she says. "Marvin had another melody, and I asked him if I could sing it once the way I felt it, the way I felt the melody with the words. And they said, 'Go ahead.' And the miracle in that session was when I finished, the engineer told them that the machinery wasn't turned on. And I had to sing it again. I sang it straight through, without overdubs." The end result was an empowering #2 pop anthem later revived by The Mamas & The Papas, Ramsey Lewis, Van Halen, and the duo of Mick Jagger and David Bowie. 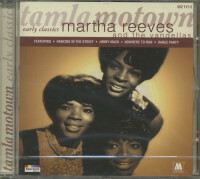 Martha & The Vandellas would score hits for Motown—Nowhere To Run, My Baby Loves Me, I'm Ready To Love, Jimmy Mack—into 1972 (albeit with a few personnel changes along the way), when the resilient Reeves went solo. She's still belting them today. 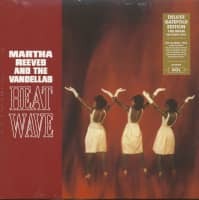 Customer evaluation for "Heat Wave (LP, 180g Vinyl)"